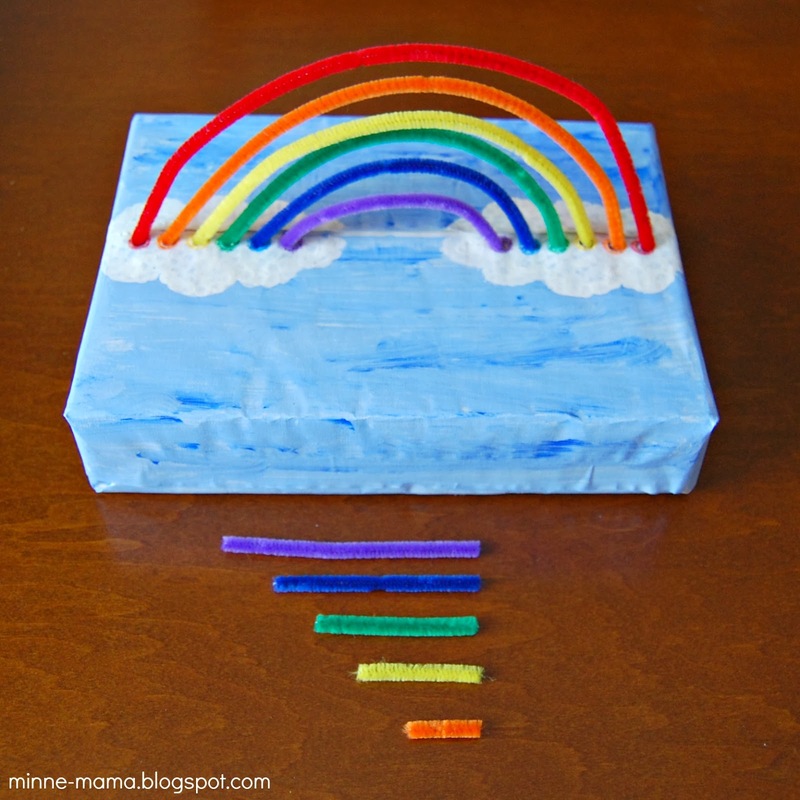 Since our pipe cleaner caterpillar and color sorter, I knew I wanted to combine the two and do a rainbow color sort for Skyler. 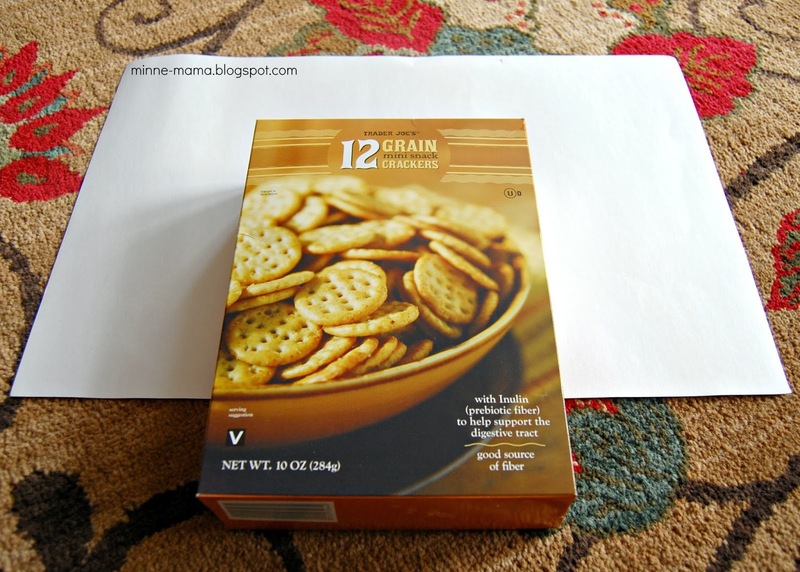 I figured around St. Patrick's Day would be the perfect time! 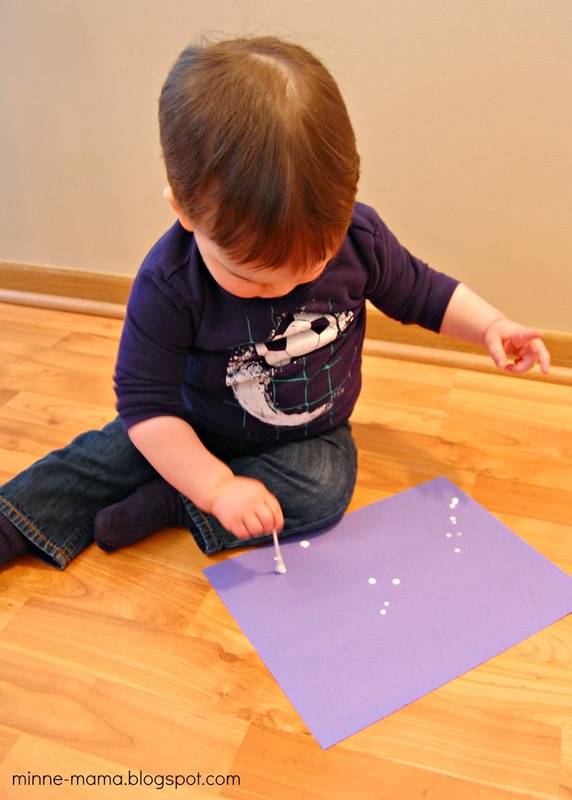 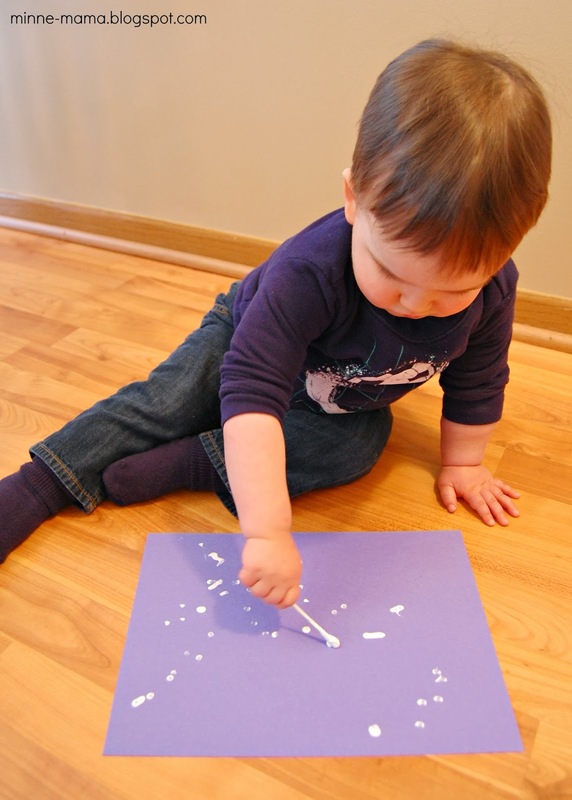 To create our surface for fine motor play, I covered an empty box with white paper and put holes in the box and paper. 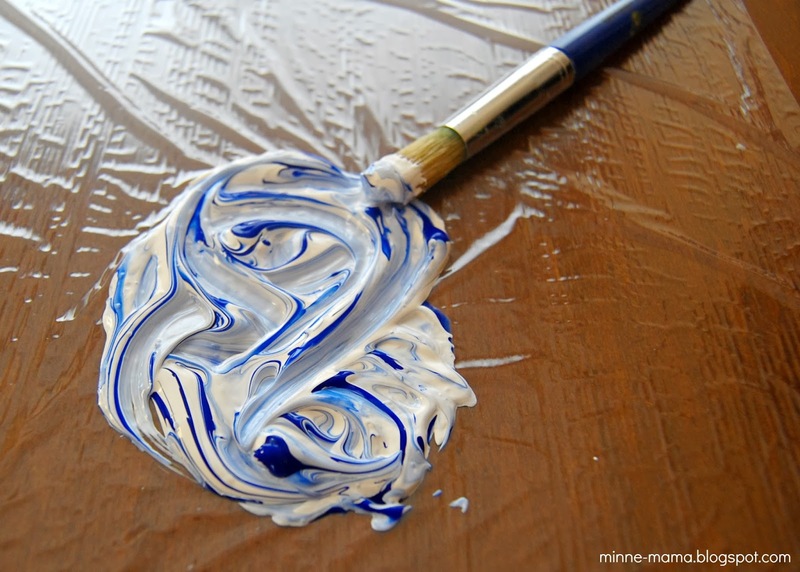 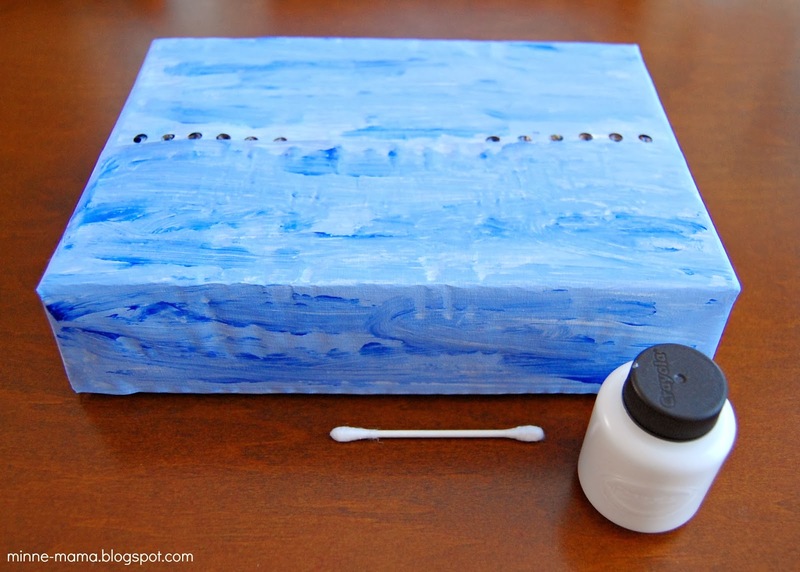 Then, Skyler and I lightly mixed blue and white paint and covered the white paper with varying shades of blue. 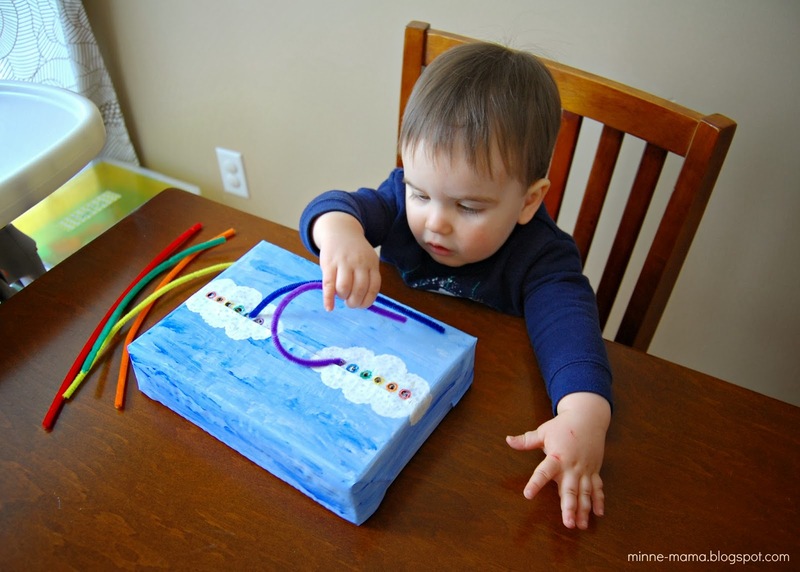 We added some fluffy white clouds with Q-tips. 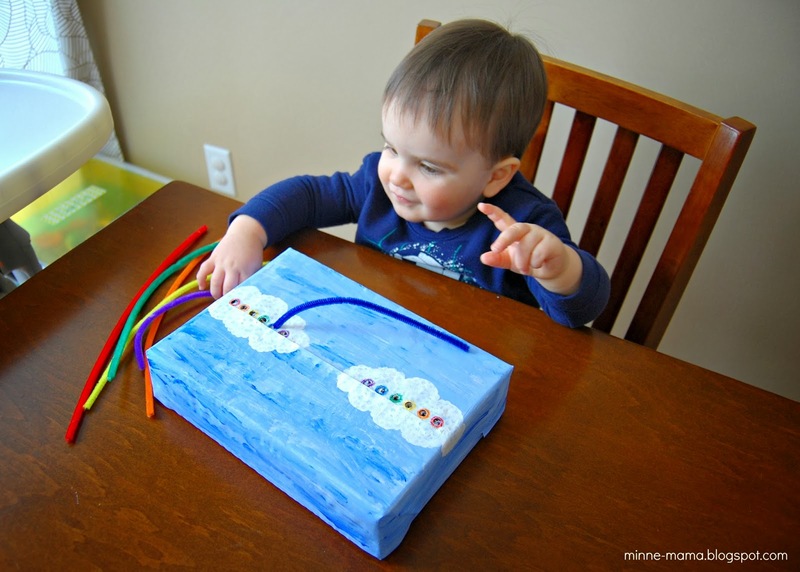 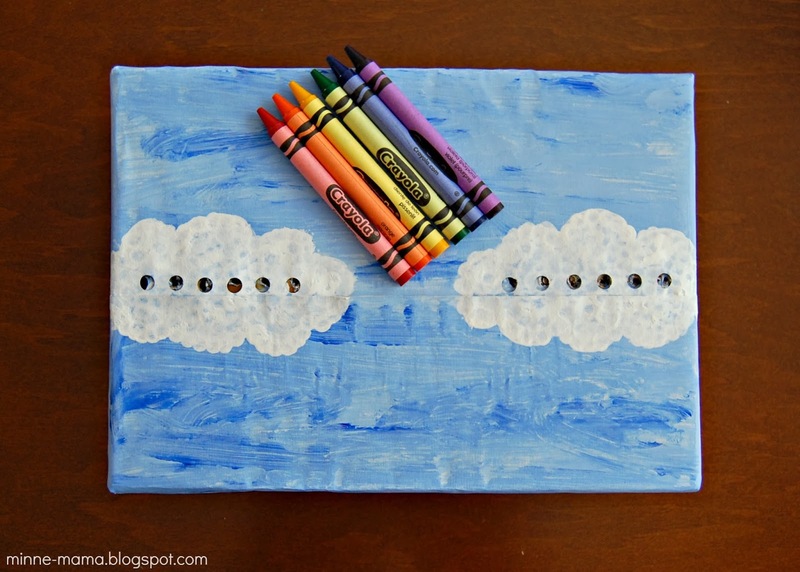 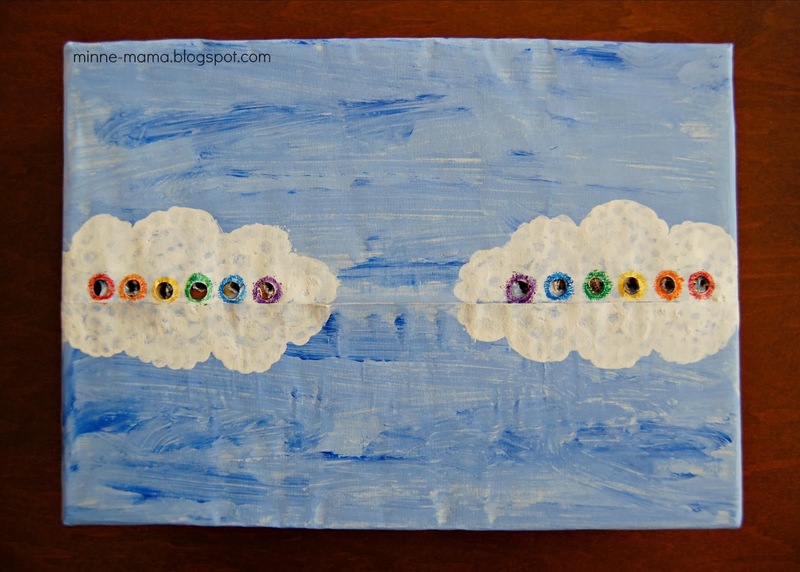 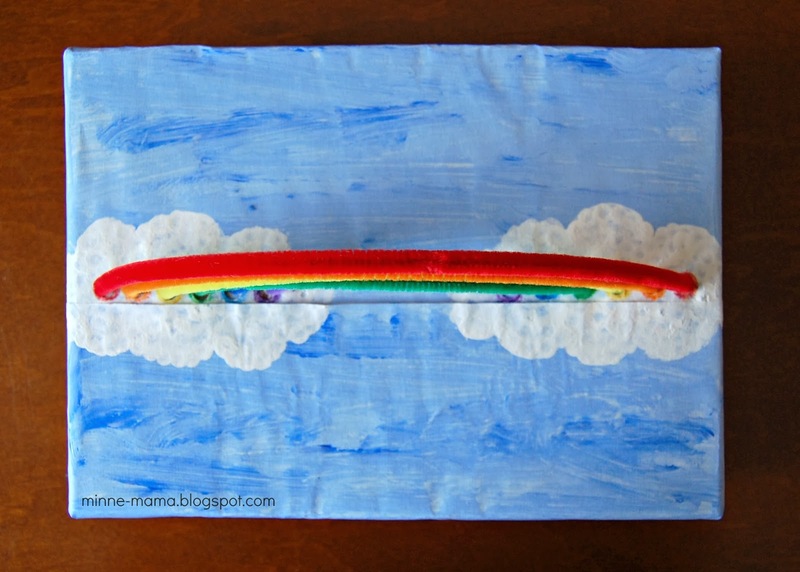 Skyler enjoyed making extra clouds after we made the two on the box together! 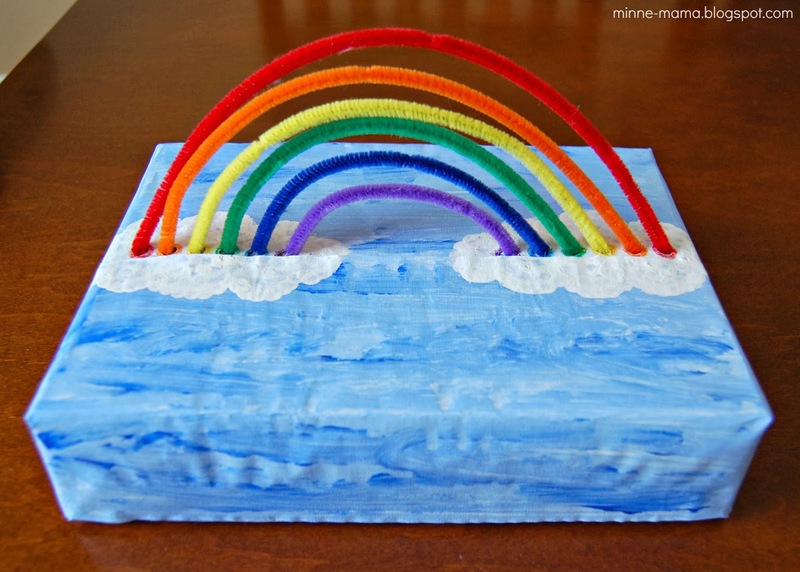 Once all of our paint was dry, I ringed the holes with the colors of the rainbow. 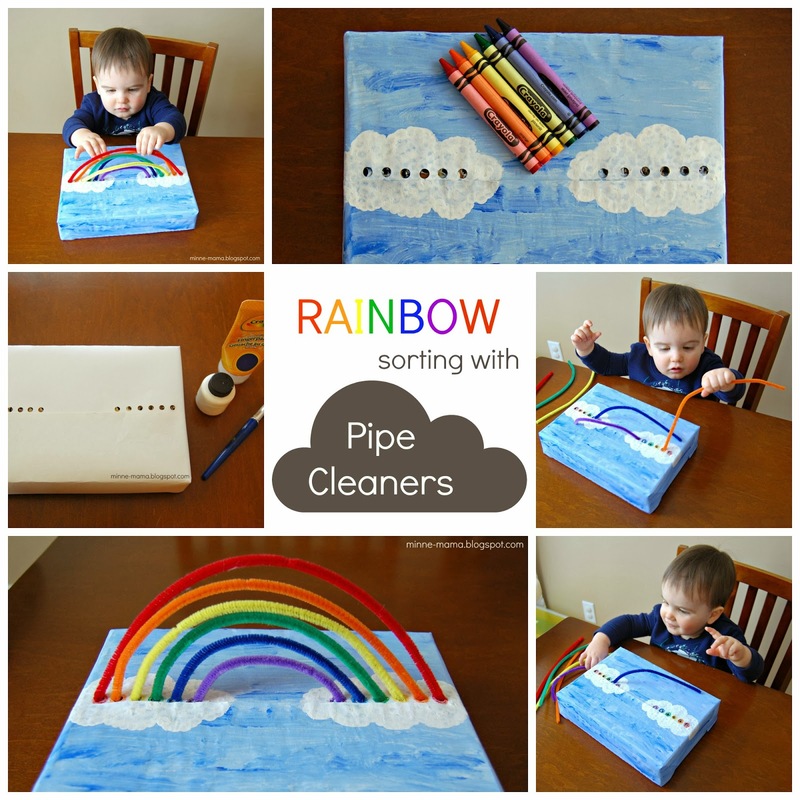 I got one pipe cleaner in each color and cut them so they would make the perfect rainbow shape when placed in the small holes. 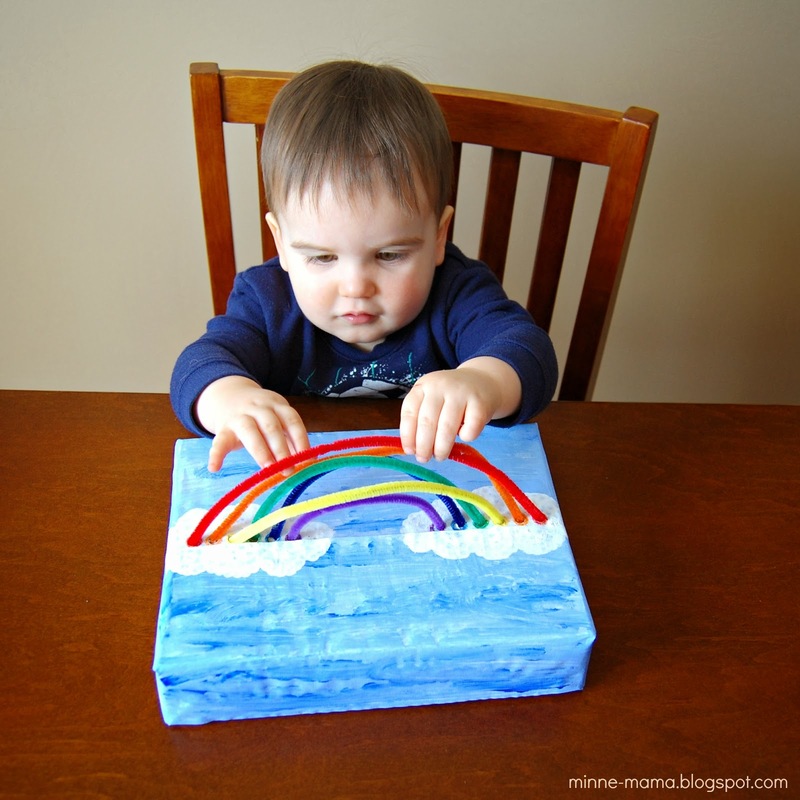 After I had my fun with this fine motor rainbow, Skyler got a turn ;) As I expected, he did awesome with the color sorting part of it! 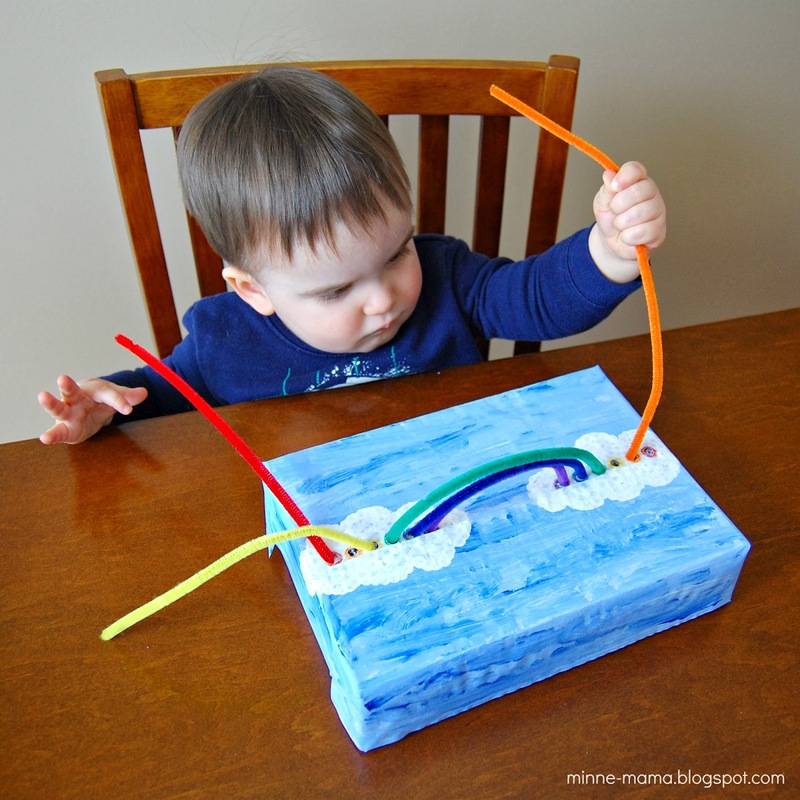 He put one side of the pipe cleaner into the correct color, and then I showed him how to stretch them across to the other side. 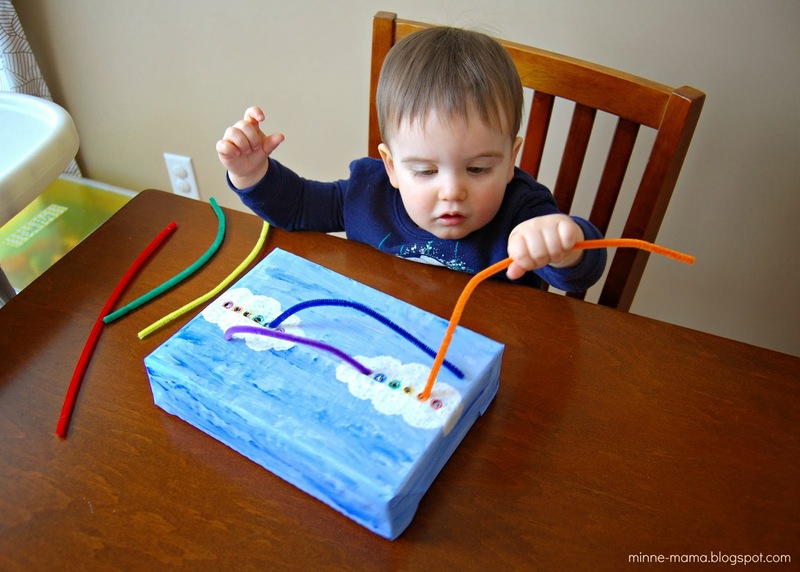 He tried hard and got it to work a couple of times, but we did a lot of it while playing together as well. 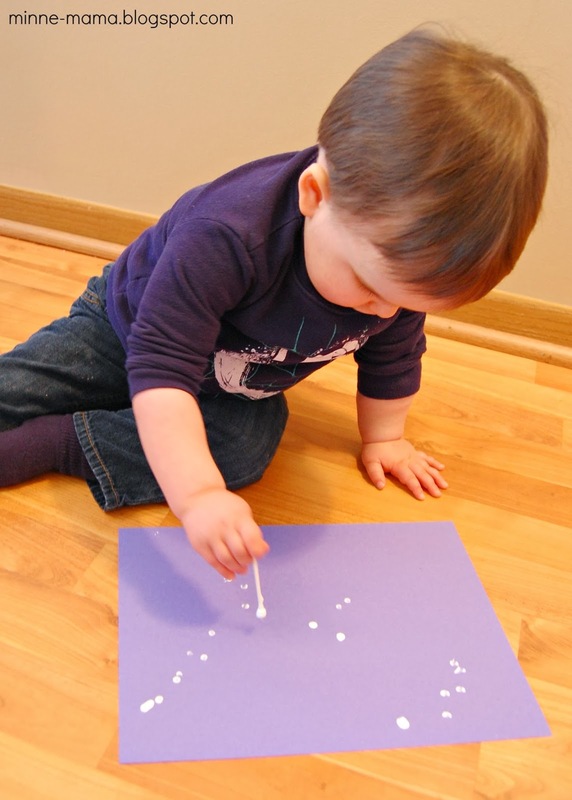 Even though it is a challenge for him, he had a lot of fun and definitely worked on his color sorting and fine motor skills in the process! 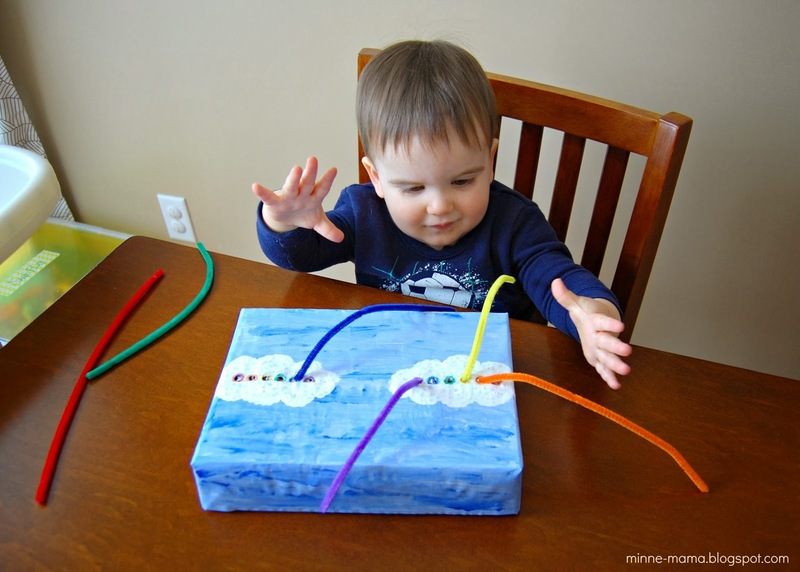 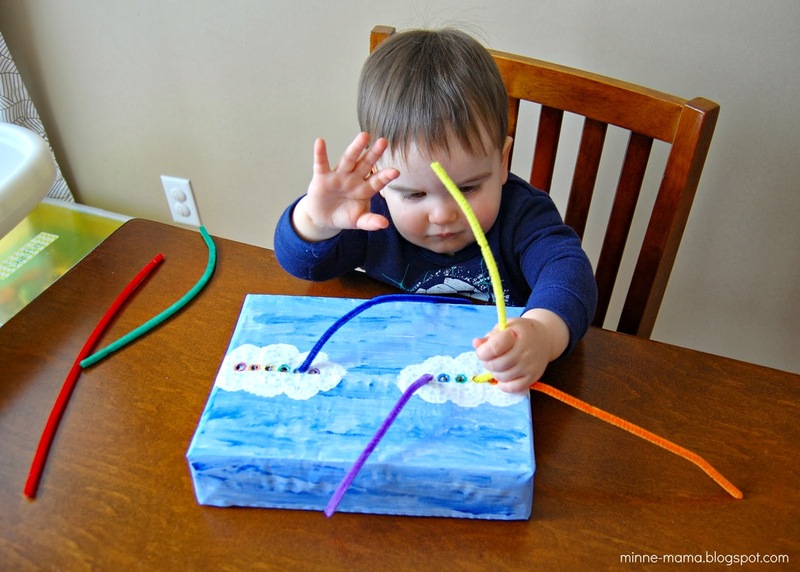 This fine motor and color sorting rainbow is a great way to practice skills through play starting at the toddler level, and would be perfect for preschool age children!